It will planned that six films will be shown — those that were released by Indian filmmakers in India on a wide-scale and demonstrated in a number of other countries. Festival of new releases by the Indian film industry in Russia is being held by us for a second consecutive year — explains Sarfaraz Alam, initiator and president of the "India Film Festival — Russia" (IFF Russia). Movies that will be demonstrated — continues the RUDN and the New York Film Academy graduate, were selected very carefully. After all, the Moscow film fans, taking an interest in India have been following the latest developments in the film industry, including in Bollywood, and we are just attempting to provide them with the best available. The motion picture "Piku", released in 2015, will open the festival. This will be the Russian premiere of the movie. Before that, in addition to India, in Europe, the film was shown only in Ireland. Shujit Sarkar, director of the film, will present "Piku", in which stalwart actor Amitabh Bachhan also well known in Russia plays a leading role. During the festival, two more of his films "Madras Café" and "Vicky Donor" will be demonstrated. Producers of the film "Vicky Donor" Ronnie Lahiri and Sheel Kumar and lead actor Ayushman Khurana will also participate in the opening ceremony. Towards the closing of the festival, Russian viewers will get a chance to watch the Indian film version of William Shakespeare's tragedy "Hamlet" — the movie "Haider", released in the year 2014, directed by Vishal Bhardwaj. In 2015. Asia Film Academy named "Haider" as the film of the year. In addition, its director was awarded the prize for the Best Director. This movie will be presented in Moscow by superstar Tabu. Viewers will get an opportunity to watch her in the film also selected for the festival — the movie "Life of Pi". 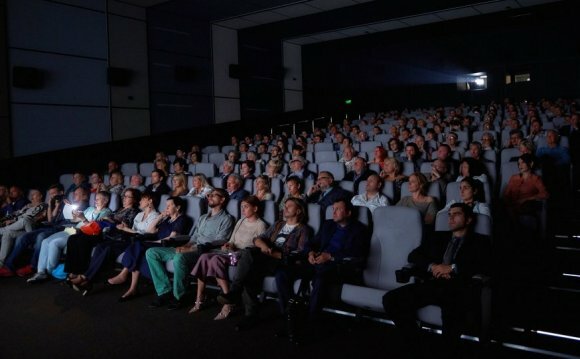 During the second "India Film Festival Russia" (IFF Russia), two more Russian premieres will take place. They will be "Dil Dhaakne Do", released in the year 2015, directed by Zoya Akhtar and "Tanu Manu Returns", released in 2015, directed by Anand Rai. During the course of the film festival, press conferences by Indian filmmakers will be held as well as meetings with the audience will be organized. There will be a round table conference held for the creation of new joint movies by filmmakers from the Russian Federation and India. One of them (movies), as stated in an interview to the "Sputnik" agency by President of the "India Film Festival Russia" (IFF Russia) Sarfaraz Alam — will be a full-length movie on Nicholas Roerich. Ashwani Rai, super star of the Indian movies expressed his desire to star in the film on the outstanding Russian artist, philosopher, researcher of the East India — Nicholas Roerich and his family who lived in India for many years — reported director Sarfaraz Alam.